With the promise of a bulging war-chest, a stream of new players and a new enterprising style of football what can Manuel Pellegrini realistically achieve in the next seventy five days? 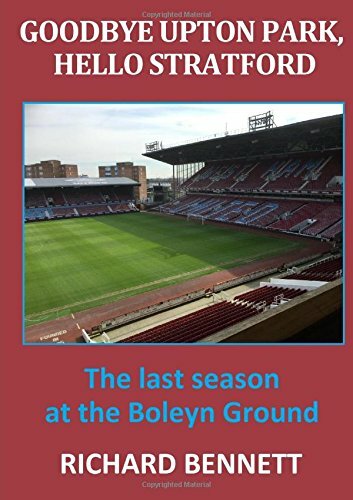 It has been an interesting week down in the East End as for once the club moved with uncharacteristic efficiency to install Manuel Pellegrini as West Ham’s seventeenth manager, and the sixth in the last ten years. The ink was barely dry on his £5m/ £7m/ £10m per year contract (delete as applicable) before reliable journalists and in-the-knows close to the club were headlining a rag-tag assortment of new recruits for the Chilean to bring to the London Stadium. Typically, these included any player that Pellegrini had previously worked with during his managerial career, as well the usual pick of players that were not good enough to prevent their own team being relegated last season. Of all those names mentioned so far that fit the hill (Toure, Hart, Rondon, Cazorla, Shaqiri) none of them fill me with great excitement. Pellegrini was initially reported as saying that he wanted to bring four or five new players into the squad (leaving us still at lease three short of a comfortable top ten side) but subsequently extending his shopping list to seven new faces; presumably after watching re-runs of some of last year’s matches. The change of manager has certainly lifted the mood around the club and it will be fascinating to see how long the positivity lasts once the nature of summer recruitment starts to reveal itself. At least we can draw a veil over the 2017/18 season and pretend it didn’t happen. There has been a good deal of speculation about the size of Pellegrini’s transfer war chest with a figure of £75m being bandied around, while others are reporting that this could be even higher depending on the proceeds of player sales. One assumes that the new manager has some assurances regarding what he is able to do but it is always a little bit fuzzy on what war chests are meant to include. Is it only for transfer fees paid or does it also include agent fees, signing on fees, loan fees and player wages? It is rare for a club to pay the whole of a transfer fee in one lump sum and wages add a significant extra over the course of a contract. Take Andy Carroll for example who was signed for £15m in May 2013 but has probably been paid somewhere in the region of a further £20m in wages during his time at the club. David Gold said on Talksport something to the effect that “we will probably spend more than we have ever done during the transfer window.” Now that is a bar that is not set very high and we could have done without the ‘probably’ in there as well. If the club does not better its transfer spend record then there could well be mutiny. There has been some speculation as to whether the protest at the Burnley game in March spurred the Board into action. Perhaps it had some effect but it was more likely the dwindling season ticket waiting list that set their alarm bells ringing for the two Daves. I have been told that those who were number 22,000 on the list a year ago are now being asked exactly where they would like to sit! My recollection of transfer windows during the summer of major tournament is that they become a little fragmented as clubs, players and agents hope that a Gary Breen like performance can inflate transfer fees, wages and commissions. There is not too much West Ham interest in this year’s finals although Manuel Lanzini, Cheikhou Kouyate, Javier Hernandez, Edmilson Fernandes and Joao Mario (who I guess is still shown as a Hammer until his loan expires at the end of June) may all play a part. I wonder how many of them will still be with us by August? A number of backroom staff have cleared out their lockers at Rush Green but I have yet to see confirmation of any new appointments or what that means for the structure of the club going forward; particularly for player recruitment. Although David Sullivan has made noises about keeping his nose out of transfer business it is difficult to believe that he will not be there in the background jealously guarding the only copy of the West Ham United cheque book and seeking to impress players with a tour of his tasteful Essex mansion. I would predict that, in the circumstances, it will take several more weeks for Pellegrini to get settled in London, organise his support team and find a hairdresser to tend that magnificent head of hair before he focuses on bringing in new players. If, as expected, we are to get a style of football that requires our players to keep the ball more then most of the past five years needs to be unlearned. If that also involves a more athletic and intense approach then it is younger, fit players rather than Manchester City cast-offs that are needed – unless they are prepared to let Aguero, De Bruyne or Fernandinho go. What would be very disappointing is if we lost either Marko Arnautovic or Lanzini during the summer and I think both players are likley to attract interest. Whether either is of the quality required to be a regular at a top six side is a matter of opinion but they would certainly be useful squad additions for a number of top clubs. I am somewhat ambivalent regarding Hernandez as it is difficult to see where, despite his undoubted goal poaching ability, he fits into a side that is set up to graft for each other. No matter who you are in the Premier League, skill and technique has to be backed up by organisation and hard work. All of the league’s current top scorers offer more than simply hanging around the six yard box. There are just seventy-five days until the new season’s curtain raisers on August 11. It is a relatively short time in which to overhaul the squad, sort out the coaching staff and instil a new style of play that all of the players can master and understand. It is certainly going to be an interesting summer.